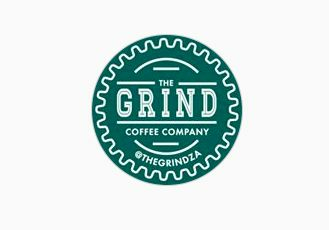 On my last business trip of 2015 to Joburg, around mid-December, I was doing the usual coffee rounds when I casually checked my social media feeds between meetings, and I saw an avalanche of posts from prominent JHB Coffee people talking about @thegrindza. Apparently it had opened that very day - and I was in the neighbourhood! I've met Dayne a few times and we interviewed him for the magazine last year - so I was very intrigued to see what the new shop would look like. 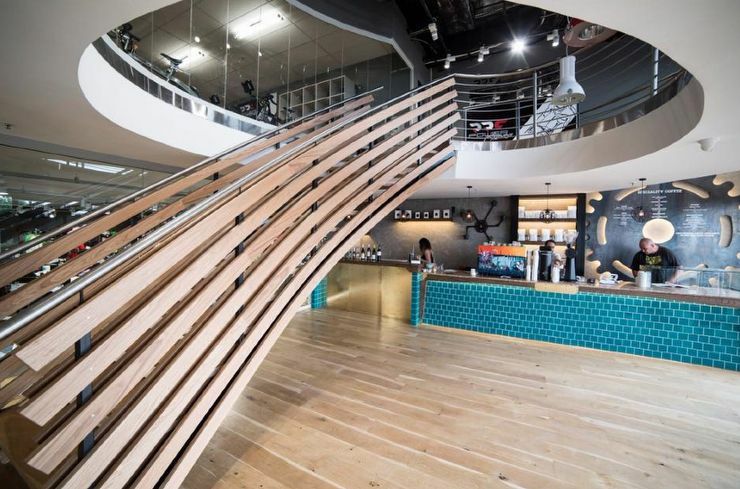 Thegrindza shares a space with a very exclusive bicycle shop in Melrose Arch (Whitely rd to be exact) and is a spacious and very neatly laid out coffee bar with tables customized from bicycle wheels! 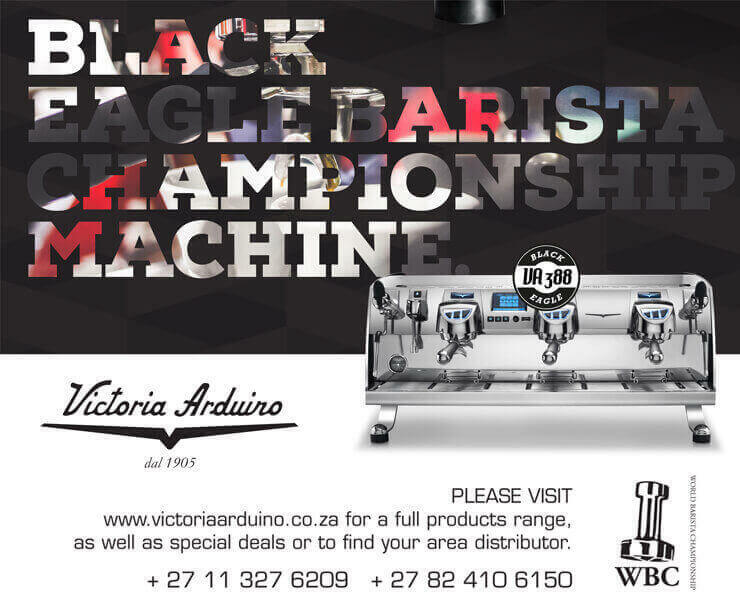 It has a beautifully custom painted Nuova Simonelli on the counter, a very stylish cycling-inspired Menu board at the back and lots of exciting coffee-geek toys for sale too. 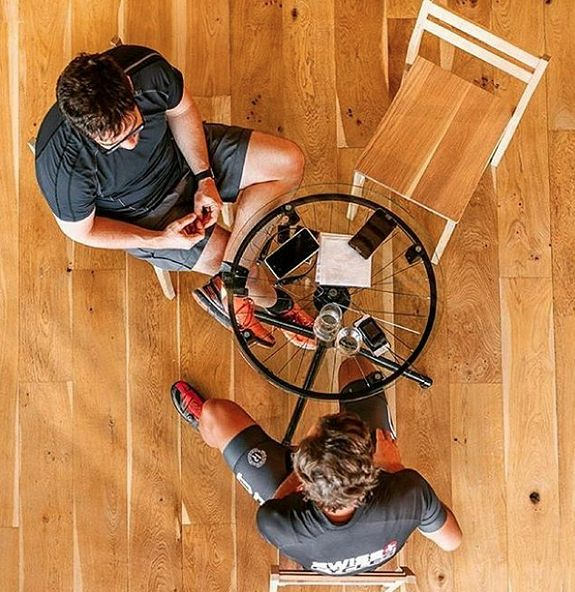 ...like tables made from bike wheels! 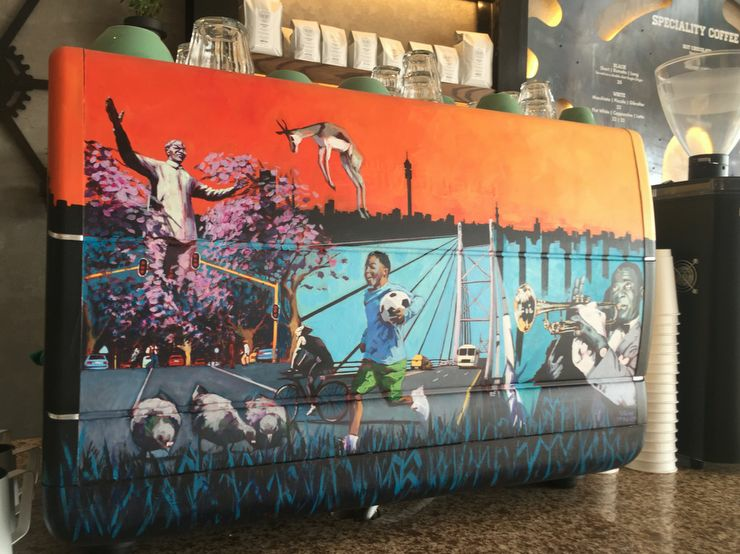 The custom painted Nuova Simonelli. Dayne is a brilliant networker, and even on the day I was there (the tables hadn't even arrived yet!) 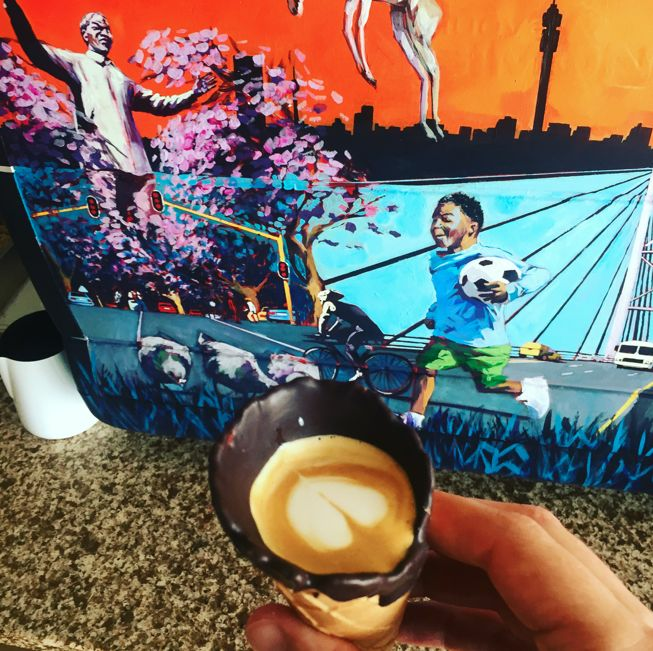 he had loads of folks coming in off the street or dropping in to visit, and the boys were serving up a storm of delicious speciality coffee. 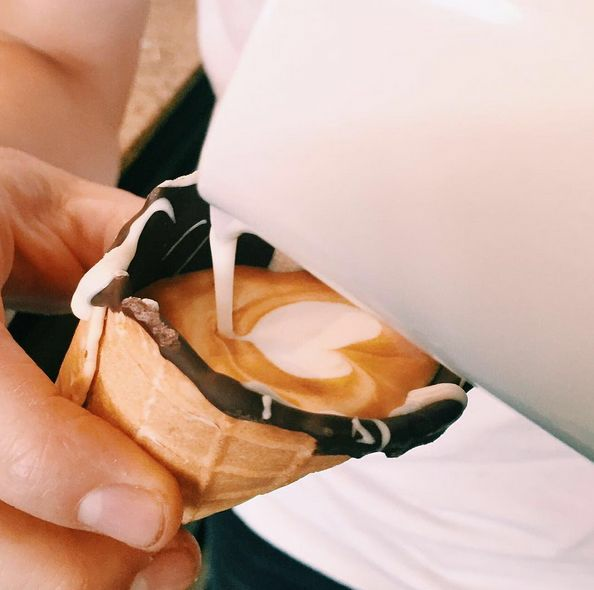 My favorite was the Grindcone… a dounle cortado in a chocolate-coated sugar cone! 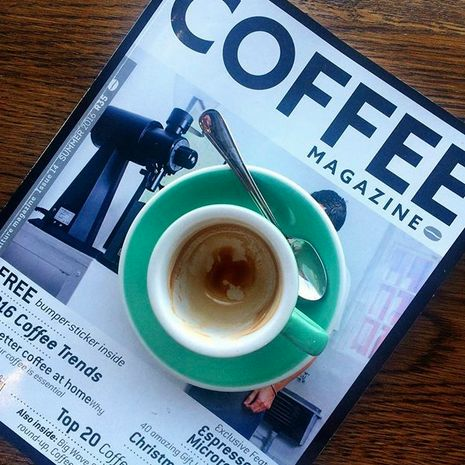 If you're in JHB - go and visit thegrindza and ask for one.
. Nice to see our humble magazine there, thanks!